BRIAN McClennan has been named as the New Zealand Warriors coach for next season, taking over the reins from the departing Ivan Cleary. McClennan has signed on a two-year deal through to the end of the 2013 NRL season. The former Kiwis coach has never been in charge of an NRL team but has a successful record at the international level and in the Super League. 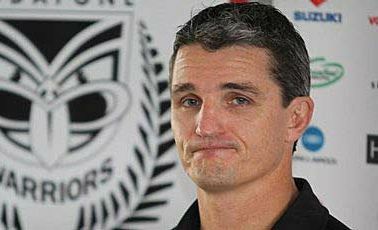 McClennan, 49, coached New Zealand to Tri-Nations success in 2005 before finishing with a 7-9 record with the Kiwis. He then guided Leeds to back to back Super League titles in 2008 and 2009. He is currently working as football development manager for Auckland Rugby League. Cleary will leave the club at the end of the year to take over as head coach of the Penrith Panthers following six seasons with the Warriors. "I'm so excited and honoured to have this opportunity," said McClennan today. "I've been fortunate enough to coach the Kiwis, Leeds and Auckland club sides but my ambition always was to one day coach in the NRL, the toughest competition there is. To have that chance from next year is brilliant and to be able to achieve it with the Vodafone Warriors in my home town couldn't be better." "I've admired the way the Vodafone Warriors have grown to the point they're now one of the strongest and best-run clubs in the NRL," he said. "While this a huge moment for me, after today's announcement I will step back. It's important everyone gives Ivan and the team all the support they can for the rest of this season. That's what matters most right now." The Warriors currently sit in sixth place on the NRL table having won their last four straight games including Sunday's 29-10 win over the Raiders. Warriors chief executive Wayne Scurrah said McClennan was the most suitable candidate. "It's fantastic for us as a club, for our members and all fans that we've been able to appoint Brian as our new coach," said Scurrah. "There was interest in the position from inside the club and from coaches overseas including some in the United Kingdom. "Brian came through as the most suitable candidate. He has had outstanding results with every team he has been involved with, be it the Kiwis, the Leeds Rhinos or club teams in Auckland and we're delighted one of the best coaches in New Zealand rugby league history is to be the next coach of the Vodafone Warriors." Which team will win the 2011 NRL premiership? This poll ended on 03 March 2012.